I’m a lifelong mover, and learner. I began dancing at 4 years old, studying Vaganova (Russian) Ballet throughout high school, performing in pointe shoes & tutus. I grew up in St. Paul & attended the University of Minnesota for college, continuing my dance studies, as well as earning a liberal arts degree in 2006. After college, I immediately enrolled in Pilates training. Pilates opened a new world for me: a world where I could continue to move my body and stay flexible & mobile without dance. My love of movement grew and my passion for teaching others emerged. I worked as a dance teacher, Pilates instructor and personal trainer, actively adding certifications & even a role in management. In 2015, I happily became pregnant. However, during pregnancy, I struggled with hyperemesis gravidarum (severe vomiting & nausea) and was unsure how to fit exercise into my daily routine. There were also pesky other symptoms like acid reflux & carpal tunnel. 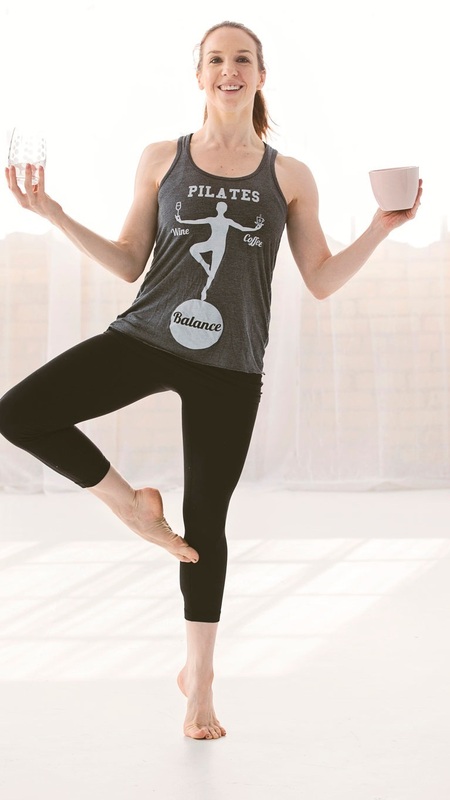 Practicing Pilates didn’t result in the perfect labor & delivery story, nor did it keep me from having diastasis recti (separation of the linea alba) but it kept me moving & breathing. After the birth of my son in 2016, I left my full time corporate fitness job and the journey really began. I wanted to understand the pelvic floor muscles better. These were the same muscles that I had spent years cueing to others to engage. As a former ballet dancer, I had also spent hours drawing my belly button into my spine and trying to figure out how to breathe while maintaining abdominal engagement! I became fascinated about diastasis recti and why it had “happened” to me or how it could have been prevented. Could my labor/delivery have been different if my exercise choices had been different? I experienced a body that changed and had new challenges including breast feeding. I became disappointed in the lack of training that I had previously had in regards to training pregnant clients and women’s health issues. I had worked with female clients who refused to do jumping jacks or who were embarrassed to invert due to “queefing.” I didn’t know what to offer them then, but I do now. The Twin Cities birthing community is full of resources and I am proud to be apart of it. Whether you are pregnant or want to become pregnant, had children years ago, or never had children but struggle with pelvic floor dysfunction like leaking, I am here to help. We can do better, I promise. Do you feel like you don’t fit into any of those categories but are looking for an experienced & joyful Pilates instructor? I may still be a good fit for you.